Start Looking for Your Soul Deepening Resources! I’m glad you are here. 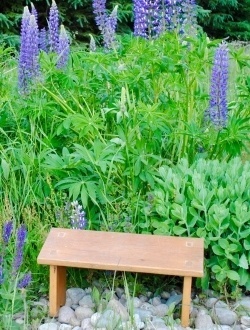 Know you can arrive at the Prayer Bench just as you are and we journey together. Deep calling to Deep! I believe we’re born with a deep sense of wonder and carry a longing for wholehearted living. If you came looking for soul knowledge and spiritual practices you’ll find it here. I love the wisdom of the ancient way and the spirituality of the present moment. If you want to explore the wisdom of the Christian spiritual tradition you’ll find it here in fresh and original ways. So much broadening and deepening comes when we journey with others. If you want to deepen your spirituality in the company of others, you’ll find respect for a diversity of spiritual expressions here. Look around. Read my blog. Perhaps there is something here just for you today. Check out Facebook for daily sips of wisdom. 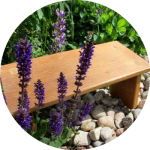 In the Prayer Bench shop you’ll find Email Retreats, Small Group Studies, Individual Spiritual Studies and more; all for your soul deepening. Stay in touch with the monthly newsletter. Crafted out of rough wooden pieces by the Maintenance Coordinator at the Iona Community, my prayer bench had its beginning in Scotland. In the frantic pace that was life in an intentional community I learned to sit. Still. Sitting on a prayer bench gave physical intention to my desire for still prayer. Then I came back from my journeys. I began ministry with The United Church of Canada in the Maritime Conference Office. This time was chaordic, a word made by the union of chaos and order. It was a time of deep change in the church and my position allowed me to play with new ideas and try out new ways. Technology and spirituality joined hands. Now I am living a dream born on that prayer bench years ago. It was braided in my soul: the longing for a community gathered in learning, curiosity, prayer and soul work.